Port Hawkesbury Paper is preparing itself for the long haul in a trade battle with the United States. Port Hawkesbury Paper plans to fight U.S. duty on its paper products. Port Hawkesbury Paper is preparing itself for the long haul in a trade battle with the United States, but it isn't sure it can afford to wait and see if this week's unfavourable U.S. decision on duties is overturned. A ruling by the United States Commerce Department on Wednesday said the company should pay a duty of 20 per cent on the glossy supercalendered paper it exports to the U.S. Port Hawkesbury Paper says it has several ways to fight the ruling. Mill development manager Marc Dube says it could take the battle to U.S. courts, or go through provisions of the North American Free Trade Agreement. He says the federal government could also appeal to the World Trade Organization. However, Dube acknowledges none of the avenues will bring quick resolution. "All three of those initiatives would take a couple of years to complete, but we're certainly committed fully to make sure we go through that process and we'll get this changed," he says. The big question is whether the paper mill can survive long enough to fight the decision, while still paying millions of dollars in duty. Dube isn't sure, and suggests it will depend on whether the Canadian dollar remains advantageously low. "It depends where the dollar is," he says. 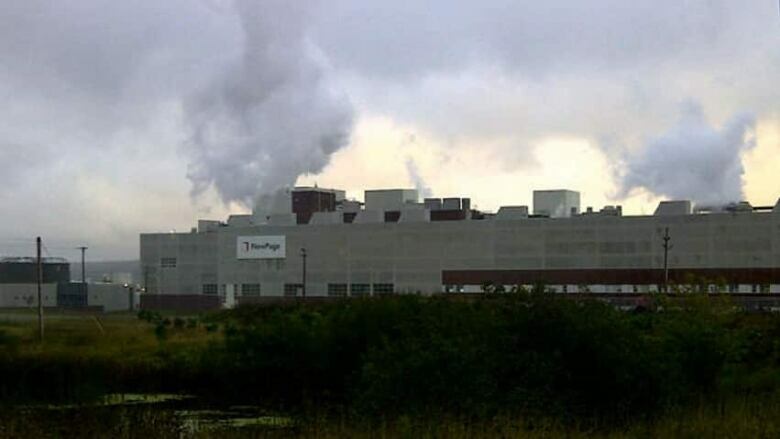 American companies have complained that Nova Scotia government loans to the Point Tupper mill and discounted power amounted to unfair competition. The Commerce Department has ruled in their favour, a decision that could cost Port Hawkesbury Paper $50 million a year, if it's upheld by the U.S. International Trade Commission. The decision from that body will come on Dec. 4. Canadian International Trade Minister Ed Fast said the Commerce Department decision is worrying. In a news release, he criticized the U.S. investigation and says the process was not thorough or objective. "The Government of Canada is considering all options for an appeal of this decision, and reserves the right to undertake all actions necessary to vigorously promote and protect Canada's national interests and the interests of the Canadian companies affected by this decision." Dube said duty shouldn't apply to the company. He said many of the loans the company received had to be repaid, while others were forgivable loans which the company's lawyers said would not be eligible for duty. As for discounted power, Dube said the mill's electricity rates were decided by two private companies and approved by the Utility and Review Board. He said those rates were not given to the mill as a subsidy from the province. The province holds the same view, and Energy Minister Andrew Younger says he's pleased the federal government is getting involved. "The issue in this case is Nova Scotia Power is not a government entity," he said. "The subsidy wasn't given by government and so from our perspective, it is not a government subsidy." A spokesman for the Communications, Energy and Paperworkers Union of Canada says even though the mill enjoys lower power rates than general ratepayers, it does not amount to a subsidy. Archie MacLachlan says the mill pays a lower rate because it sometimes has to shut down at a moment's notice to ensure Nova Scotia Power's electrical grid isn't overloaded. Port Hawkesbury Paper has been quietly squirreling away money to cover the expense of an imposed duty. Dube said they've been able to do that by keeping costs down at the mill. "That's something everyone in the mill is engaged in," he said. "Our work with our employees, our suppliers. Everything we do at the mill is geared towards making sure that we're low cost and high quality." The ruling also hurts J.D. Irving Ltd. paper products in New Brunswick. It could face a duty of 18.85 per cent on all products it ships to the United States. The rate applies to Irving paper even though the company argued that it was never investigated by the U.S. government. Irving also claims it never had the chance to make its case that it is not as subsidized. Irving plans to continue fighting the ruling as well.